You are currently browsing the tag archive for the ‘MLB 2012 The Show’ tag. I have been woefully inactive on this blog as of late. Life is busy, as I am sure your life is. We are in the midst of preparing for the birth of our first child. So, blogging has not been at the top of my priority list. It occurred to me today that I have around 50 followers that have only heard from me twice in the past month. I realize this probably has not caused you any undue stress, but when I subscribe to blogs, it is because I like what they write. So, when they don’t write anything, I might just take them off my blog reader. So, in case your mild interest in For Aslan…and the Volunteer State is waning, I have put together a playlist for you my favorite readers (and you people that got here via random google searches for things like “Andrew Jackson,” “Louisville Slugger Museum,” or “Bodum Monkey”). Here is my friend Matt making tampers for us at Prima Coffee. He’s really good, and this is a sweet video. This might be cheezy, but I think it looks great. 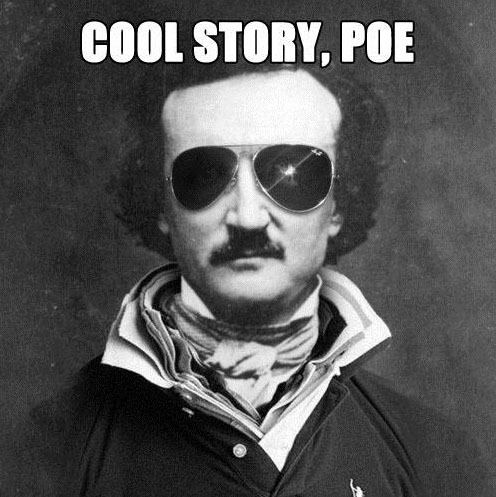 I mean, Edgar Allan Poe murder/mystery movie? Yes please.